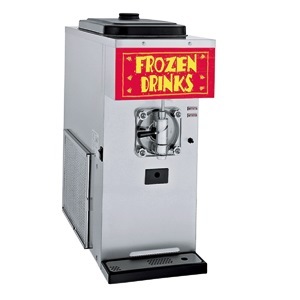 Take a look at our frozen drinks making equipment for the production of thick shakes, cocktails & mocktails, granitas & slushes, smoothies and frozen coffees. A frozen margarita machine makes a quirky addition to any bar and unlike many other cocktails you might make this machine allows you to serve customers very quickly - it can make up to 100 portions an hour. The Taylor C606 Combination Shake & Sundae machine is the perfect addition to any fast food operator looking to compete with the major high street chains. Five thick shake flavours and soft ice cream from one high volume machine. For more information fill in the quick enquiry form above the product image.